Like To Mix It Up? Try the New Cider-Grown New England Multi-Pack! If variety is what you seek, get stoked for the cider industry’s first multi-cidery four-pack! 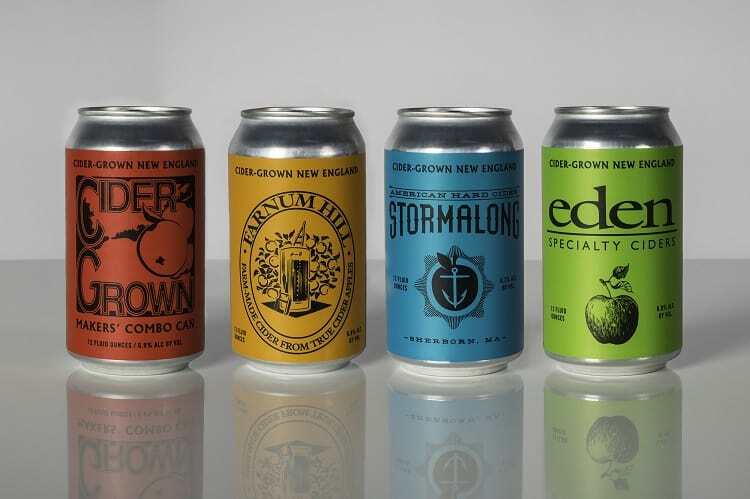 Farnum Hill Ciders, Stormalong Cider and Eden Specialty Ciders have joined delicious forces to create the Cider-Grown New England collaboration, featuring a different cider in each of the 12-ounce cans. Each cidery contributed one cider to the pack, and the fourth can is a collaboration blend of fermentations from all three called The Maker’s Combo. 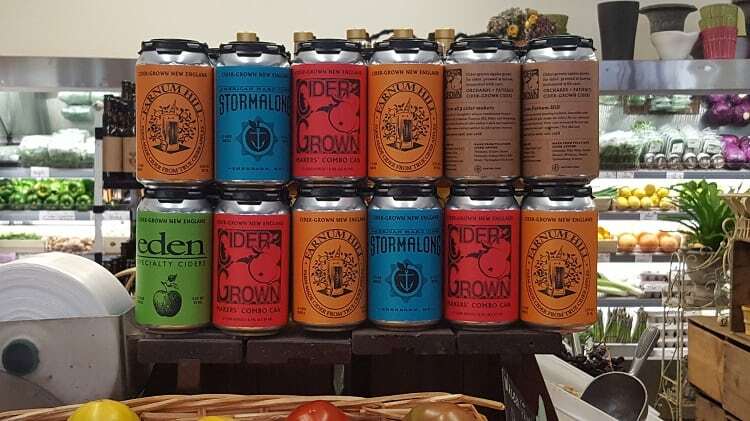 What a cool way to sample some of the best ciders in the region, or expose a cider-curious friend to a range of craft cider styles and flavors! The four-pack is meant to specifically highlight the qualities of bittersweet and bittersharp cider apple varieties, which are high-tannin specimens grown for pressing and fermentation (you do not want to eat these apples!). Each of the orchard-forward four ciders express the aromas and flavors that cider apples are grown for. Dry cider lovers, rejoice—there’s not an overly sweet one to be found in the bunch! Eden Specialty Ciders: Lush layers of stone fruit and strawberries, leading to a fruity and savory finish. Stormalong Cider: Dark fruit flavors coupled with a rich acidity, mellowed by malolactic fermentation and finishing with dense, tea-like tannins. Farnum Hill: Madly fruity, with sweet fruit notes balanced by keen acidity and bitterness with a clean, appetizing finish. Cider-Grown Makers’ Combo: Batches from all three of the cider makers yield flavors of baked fruit, and citrus, with hints of ice cider richness and minerals, braced by sturdy tannins. This fabulous four-pack can be found in New England and New York via distributors Ruby Wines (in Massachusetts), Farrell Distributing (in Vermont), Crush Distributors (in New Hampshire) and Craft Brewers Guild (in New York). Head over here to learn more about the Cider-Grown New England collaboration. If you’ve gotten to try any of the wondrous-sounding ciders from the Cider-Grown New England multi-pack, let us know what you think!